Proud moment for ISG alumni.. The Republic Day parade was led by 4 Mi 17-V5 in an inverted ‘Y’ formation also known as ‘wineglass formation’. 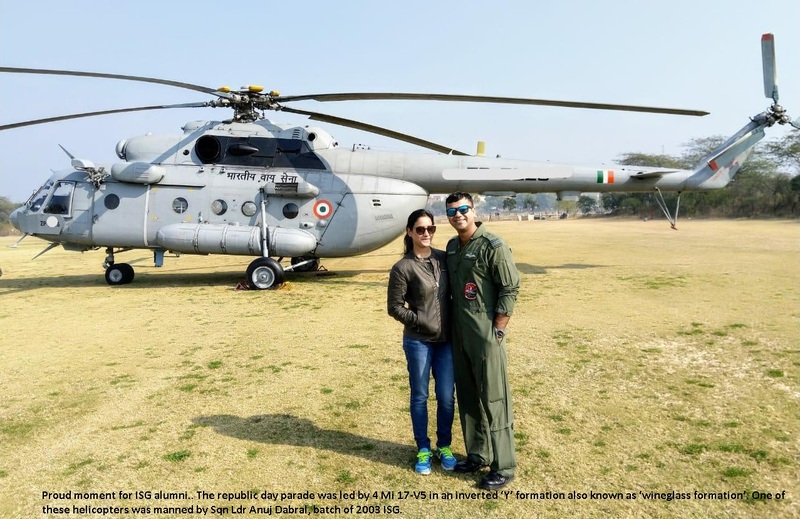 One of these helicopters was manned by Sqn Ldr Anuj Dabral, batch of 2003 ISG.